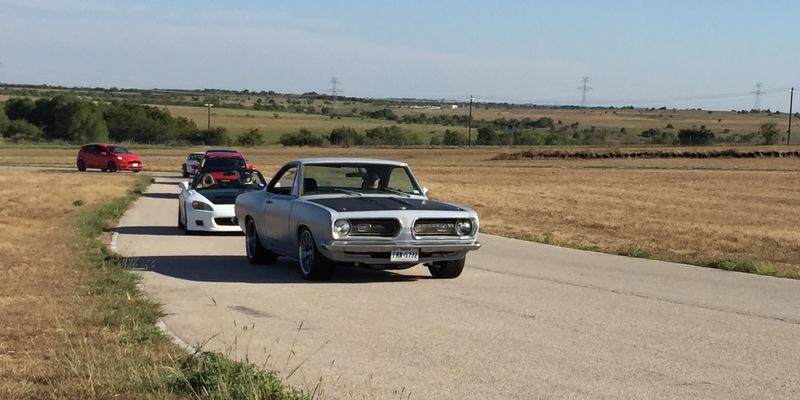 Last night we took our little sports coupe down to Cresson, Texas, to experience Track Night in America. Having never been to a track event myself, I didn’t really know what to expect, but I was looking forward to whatever the evening had in store. We arrived in time to register and join the Novice group for a brief instruction session before the pace laps began. As I looked around, I was surprised by how large the group was and by the variety of cars in the group. We had everything from rebuilt classics to high-dollar, luxury cars straight off the showroom floor. 1968 Plymouth Barracuda – After two years of being brought back to life, last night was this beauty’s track debut. Perhaps the biggest surprise, though, was how much of a learning experience the evening turned out to be. By “learning experience” I do not mean I learned how to drive fast. (Trust me, that part comes all too easy.) What I do mean is I learned a few things about my car and how it handles in various situations. In addition, the instructor’s briefing session was very informative. Keeping in mind that we were part of the Novice group, our instructor talked about basic things, like hand position on the steering wheel. When he said to keep our hands at nine and three, I thought I misheard him. Certainly he said 10 and two, right? Nope. He said nine and three. He went on to explain that, at nine and three, we would have plenty of range to complete the turns on the track without getting twisted, yet we would be less likely to over steer. So, nine and three it was. Enough said. One of the next things he said that really hit home was something my dad used to always tell me when he was teaching me to drive. Keep your head up and focus on where you want to go. I think I do this in my daily driving, but I’m sure there are times when I’m concentrating on the guy in front of me instead. Especially during rush hour. If you don’t know what’s going on ahead of you, though, you won’t have adequate time to react. 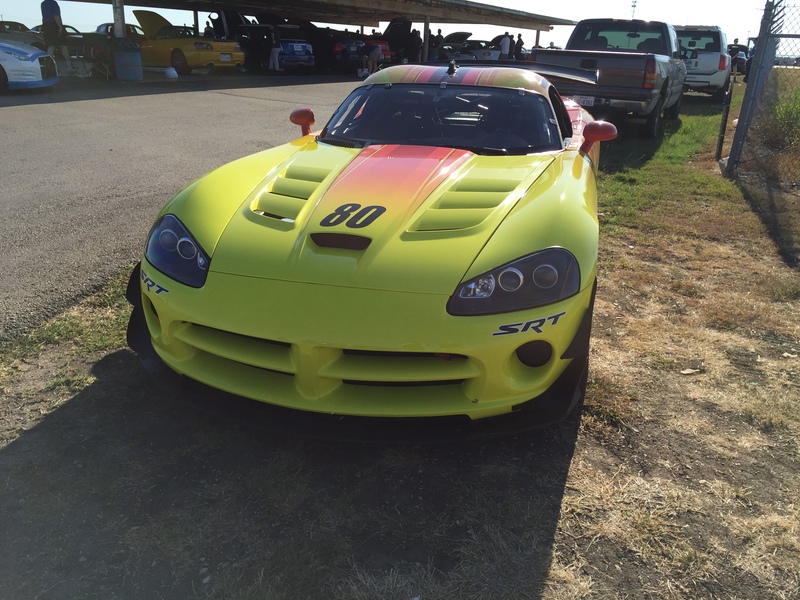 Track Night in America is for streetcars only, so this Viper was restricted to the sidelines for the evening. Track Night in America is so much more than simply getting out on a track to see how fast you can go or getting you addicted to driving fast. The instructors and staff are about safety first – helmets, car safety checks, obeying the flags, etc. are all integral parts of actively participating. While track driving is very different from street driving, honing reaction times and driving skills on the track can transfer to better vehicle handling on the highway. The added awareness and precision that comes with track driving can improve a driver’s ability to deal with things like weather conditions, obstacles in the road and other drivers.